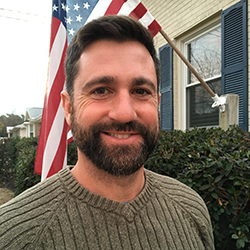 My name is Ryan Hipp and I am the owner and sole operator of Curb Appeal NC, a full service pressure washing company located in Wilmington, NC. As a former firefighter and law enforcement officer I understand the importance of performing trustworthy service when cleaning your most valuable asset….your home! I show up on time, every time, and will clean your homes exterior in a safe and professional manner. Full home exterior soft washing. Will leave your home looking freshly painted!